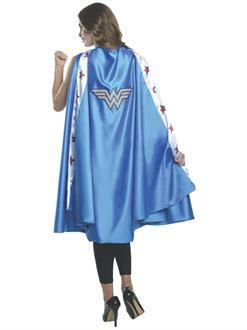 Soar to new heights when you become Wonder Woman this Halloween. As this goddess of the Amazon, you can feel powerful in knowing the world is in your hands. With the Wonder Woman Cape Deluxe, you can take her trademark cape and make it your own, combining it with tons of licensed Wonder Woman costumes and accessories.